I have this weird thing with doors. I don’t know how or why it started, but I somehow get inspired by them. Today I discovered So Haute which had a great picture of a pair of doors in Kensington, London; so I’m building on that for today’s post. 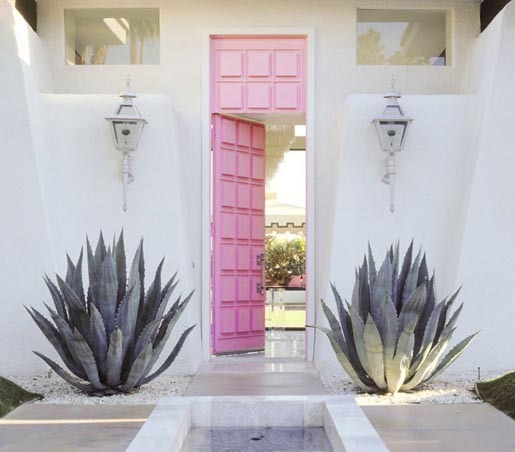 Eccentric beauty in Palm Springs… I wonder if my husband would approve of a powder pink front door?